Halloween is a time to celebrate the scary and play with our fears. For one night, we can place aside our real fears (Ebola, climate change, school shootings, terrorism) and focus on ghosts, ghouls and zombies. But it’s only one night a year. What about the other three hundred and sixty four nights? Unlike film or tv, which puts someone else’s imagery into your mind, the images conjured up by reading a book are entirely your own. You’ve co-created them with author, you own them inside your imagination, and you can face them no matter how scary they may be. And I believe a book is the ideal place to face our fears. Since reading a book is an out of body experience, projecting yourself into protagonist, inhabiting their life, their world; it allows us to test our mettle in the safety between two covers. 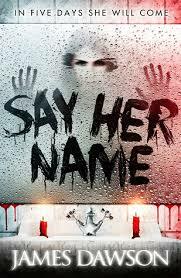 Over the years, I’ve read some scary books. 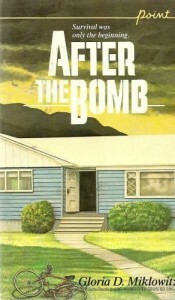 I remember tackling my terror of nuclear war by reading Gloria Miklowitz’s After The Bomb when I was in middle school. By reading that book, I processed and contained my fear of dying (or worse, living) through a nuclear bomb. 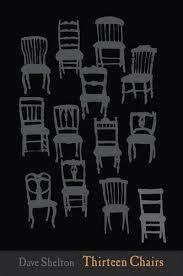 Today, we’ve got Darren Shan telling frightening tales of racism and bullying (dressed up as zombie tales), and Dave Shelton chills the reader with his new collection of ghost stories in Thirteen Chairs. And James Dawson warns us against calling the supernatural. For me, as a writer, I get to face my fears by filling the blank page. I have (fully rationale) fear of zombies, and I decided to attack it sideways, by upending the genre, creating a twelve-year-old character with OCD called Adam Meltzer who suddenly finds himself zombified. Instead of eating brains, Adam stays away from rare steak and learns to make his after-life as zomtastic as possible. I know that my readers will internalize the words I place on the page, creating scenes in the imagination of their own mind, challenging the prejudices they probably have about the walking dead. 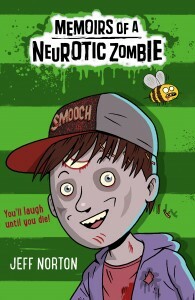 Memoirs Of A Neurotic Zombie may be more of a comedy than a horror, but by taking terrifying stock characters like a zombie, vampire and chupacabra and giving them unexpected characteristics, I hope readers will laugh in the face of what scares them. And by reading about what scares us, we can own our fears.